China's "declared" policy of no first use policy is, in fact, suspect, considering the country's deployed weapons and nuclear threats to the US that involve America's protection of Taiwan. China, needless to say, is being currently exposed for its massive track record of lying, cheating and stealing everything, from their military land-fill bases in the South China Sea to the virtual theft from the United States of China's entire telecom industry. There is no reason whatever to discontinue implementing the traditional three-part nuclear deterrent posture (land, sea and air) endorsed not only by the 2018 nuclear posture review (NPR) but also by the past three nuclear posture reviews (1994, 2001 and 2010). If the proposals above are adopted, two nuclear dangers in particular will be heightened. First, America's allies, no longer credibly protected by the US nuclear umbrella, may seek to build their own nuclear weapons to compensate for the omission. Second, in a crisis, America's adversaries might seek to disarm the US, or coerce it to stand down, especially as US nuclear forces would have been so diminished as to invite aggression, rather than deter it. Modernization of the US strategic nuclear deterrent, often referred to by those who oppose it as "dangerous nuclear schemes," will require multiple decades to complete. To sustain such an effort, a bipartisan consensus needs to continue annually, regardless of who controls Congress or the presidency. To succeed at its best, a nuclear modernization effort should be combined with a measurable, but verifiable arms control agenda; either the continuation of existing arms control treaties, expanded arms control efforts, or both. Russia's violations of the INF treaty, including Russia's deployment of upwards of 100 illegal missiles, led to the INF treaty (unfortunately) becoming defunct. Such violations by Russia obviously make pursuing further or other arms control initiatives extremely difficult. There are, therefore, growing concerns that with the anticipated demise of the INF treaty, the continuation and extension of the 2010 New START treaty may be adversely affected as well. Should the 2010 New START treaty not be extended, there will cease to be any arms control limits on the deployment of US and Russian nuclear weapons after February 5, 2021, when New START expires. Since 1972, beginning with the SALT 1 nuclear arms agreement, the US and Russia have had limits on the deployment of long-range or strategic nuclear weapons. These limits have been deemed important, especially by the American military, to gain a measure of confidence in the nature of any future strategic environment. Adopting a statutory requirement on the no first-use of nuclear weapons by the United States. De-alerting or unplugging all "vulnerable" American missiles armed with nuclear warheads. This means the missiles will not launch even if a command is sent to their computer systems to do so. 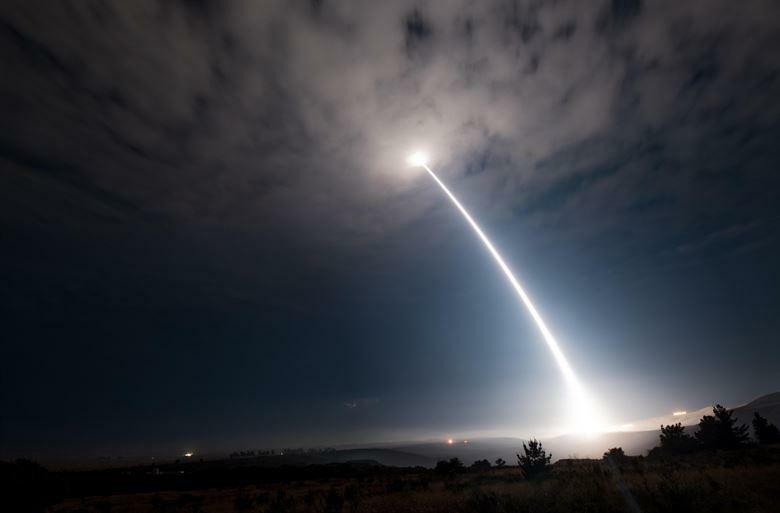 Eliminating America's Minuteman land-based intercontinental ballistic missiles (ICBMs ) -- which are what carry nuclear warheads -- and not fielding any replacement system. Adopting a nuclear deterrent posture, characterized as "minimal deterrence", that would have no more than 200 to 300 deployed warheads in the US arsenal. Eliminating efforts to field low-yield warheads on the American Ohio class submarine-based D-5 sea-launched ballistic missile. All five of these initiatives would be unilateral, taken by the United States only, and would reverse the bipartisan consensus secured nearly a decade ago to go forward with the much-needed modernization of America's nuclear deterrent. In 2010, for instance, the Obama administration and Congress agreed on a jointeffort first to approve the New START nuclear arms treaty between the United States and Russia, then second, to support on a bipartisan basis a robust nuclear deterrent modernization program of 1,550 deployed strategic warheads. The modernization effort included all elements of the nuclear triad (land, sea and air), nuclear laboratories, warhead production, sustainment infrastructure, and nuclear command and control systems. The proposed alternative and unilateral policies, if adopted by the new leadership in the House, would certainly fracture whatever consensus exists today to modernize America's strategic nuclear deterrent -- and at a time when both Russiaand China are charging ahead militarily, and Iran and North Korea are racing toward a deliverable nuclear weapons capability. Just as problematic, such unilateral reduction policies, if adopted by even one chamber of Congress, might very well undermine the sense that the United States could continue to provide the protection of a credible extended nuclear "umbrella" to its allies. The US would no longer be considered a serious guarantor against nuclear aggression, a point already made among senior American nuclear professionals a decade ago, at a 2009 conference in Washington, D.C.
What about No First Use? The United States, for the record, has never pledged to refrain from using nuclear weapons first in response to a major biological, electromagnetic, chemical or cyber-attack on the US or its allies. US policy has instead reflected a certain ambiguity -- a key factor in any adversary's calculus -- but the deterrent to nuclear war has worked perfectly for more than 70 years. Why fix it if it is not broken? What is odd is that some advocates of a global no first use policy (pledging not to use nuclear weapons first) point to the Chinese government's endorsement of it as a good reason to adopt this idea. China, however, is hardly to be trusted as the country to which the United States looks in forming its own nuclear policy. China's "declared" policy of no first use is, in fact, suspect, considering the country's deployed weapons and nuclear threats to the US that involve America's protection of Taiwan. China, needless to say, is being currently exposed for its massive track record of lying, cheating and stealing everything, from their military land-fill bases in the South China Sea to the virtual theft from the United States of China's entire telecom industry. As for Russia, military and political officials there have repeatedly and explicitly threatened to use nuclear weapons first against the United States. This threat has become especially irrefutable since then Russian President Vladimir Putin in April 2000 officially announced just such a policy of using nuclear weapons first against the United States in a crisis or conflict. Are American Missiles on Hair-Trigger Alert? What about the charge that US land-based Minuteman III missiles are on a "hair trigger alert" and therefore geopolitically unstable? "People who described our ICBMs as being on 'hair-trigger' alert either do not know what they are talking about or are intentionally attempting to frighten the uninformed into calling for the de-alerting of the ICBM leg." "Here is a more accurate analogy that better captures reality: There is a gun, and it has a really big round in the chamber. But the gun is in a holster and that holster has two locks on it. Now the person wearing the holster does not know the combination to either lock — only the president of the United States has the combinations. If the president tells this person to shoot he will, but he cannot do it alone. So nuclear forces are not on hair-trigger alert. They certainly are on alert and at the ready, and this is necessary to provide the strategic stability described above." In the real world, it is important to remember what President John F. Kennedy said about America's newly built Minuteman missiles: that they were his "ace in the hole" and prevented the Cuban missile crisis from ending in Armageddon. Since 1962, US Minuteman missiles have been on alert for 32 million minutes, but never ordered launched by an American President. Should the US Keep Its ICBMs or Not? What, though, if the US goes along with the idea not to keep these land-based missiles? Here is what happens: If the United States chooses to eliminate its land-based missiles, as arms control advocates have proposed, it would dramatically and dangerously simplify an adversary's targeting calculus. The US would be reducing more than 500 distinct American-based nuclear-related targets -- including 450 Minuteman silos and 48 launch control centers spread across five American states -- down to only five continental US targets -- three USAF bomber bases, and two submarines bases -- and only roughly 10 targets if US submarines at sea were included. As the former Vice Chief of Staff of the USAF, General Larry O. Spencer told this author, "Why would we make it easy for an adversary to attack us?" Especially if at some point in the future the oceans become transparent and US submarines at sea can be found and destroyed by the force of 100 Chinese and Russian attack submarines. Should America Take Its Missiles off Alert? Another idea, unfortunately not the best, is to take American land-based missiles "off alert" (like unplugging an appliance), to lengthen the time between a crisis occurring and when the US commanders can actually launch American ballistic missiles. Ideas such as de-alerting has been proposed before -- and have always been determined to be highly risky and dangerous. First, the "de-alerting," or unplugging of America's missiles, is not verifiable. Even if all nuclear powers de-alerted their missiles, both the US and its adversaries could place their own missiles back on alert in a matter of seconds and no one would be the wiser. The US would presumably not want American leaders to assume that Russian missiles were unlaunched -- or Russia to assume that America's missiles were unlaunched -- because either side had been "de-alerted". The quiet could easily lead to a misunderstanding. America's guard might be down, and any inaction assumed to reflect US passivity. Second, in a crisis, the lack of any effective verification for such "de-alerting action" would likely heighten uncertainty. Russia might assume that the United States would rush to put America's missiles back on alert to be able to launch them at Russia. But Russia could not verify whether America's missiles were on alert and ready to launch or not. Such an uncertainty might easily pressure the Russian national leadership to decide it would be better to launch its missiles at the United States as soon as possible in order to "get the first punch in." In other words, given that there is no way to verify whether a US missile was on alert or not, or whether it could be launched or not, uncertainty could easily lead a Russian leader to panic and, during a crisis, make a rash decision to launch Russian missiles at America first. The Russians, say, might be hoping to destroy as many American fixed, silo-based land missiles as possible. Their assumption could be that even if the US radars and early warning satellites saw Russian missiles coming at US silos, the Americans would not have time to put their missiles back in launch status because the United States had "de-alerted" its own missiles; therefore American missiles might well be regarded by an adversary as "sitting ducks". A US "race to re-alert" would hardly be reassuring. Should the US Cut Its Nuclear Forces to 300 Warheads? Another idea that seems wanting is for the United States to reduce its strategic nuclear warheads from the 1,550 allowed under the 2010 New START treaty between Russia and the United States to as few as 300 warheads. That new American posture would mimic the supposed Chinese minimal deterrent posture of having roughly only 300 warheads. Part of the concept of having a "minimal" number of warheads is that if the United States were attacked, it would only retaliate against the aggressor's cities, not its possibly numerous military assets. If the United States limited its targets just to cities, the thinking seems to go, the United States simply would not need many warheads: the threat of wiping out a few dozen Chinese cities would presumably sufficient for deterrence. If the Chinese leaders supposedly believe that having only 300 Chinese warheads is sufficient to deter the United States (or anyone else) from attacking China, then doesn't it make sense that it would only take 300 American warheads striking Chinese cities to deter China from attacking the United States? The problem is that if the United States had only 300 warheads, that number would amount to roughly 10% of Russia's current deployed nuclear arsenal. This imbalance might cause many of America's allies in Europe and Asia worry that the extended deterrence, or "umbrella," the US provides to its allies was reality just a mere bluff. What ally could really believe such a US nuclear deterrent was serious if not only described as "minimal" but in reality was vastly out-numbered -- nearly 10-to-1 -- by Russia's nuclear forces? In conversations over the many decades of the nuclear age, America's European and Pacific allies have repeated that the United States had to keep a balance with Russia in nuclear capability. A 10-to-1 ratio simply is not a "balance." Most importantly, such a small US nuclear arsenal would be totally unable credibly or effectively to hold at risk whole swaths of Chinese or Russian military assets. They would remain free to be used to attack the United States. US deterrent policy has, for seven decades, meant being able to prevent, or take away, the military ability of an adversary to continue a fight. This capability means that America's long-standing retaliatory policy needs to be to destroy the remaining military weapons and tools an American adversary possesses. Deliberately deciding to leave an adversary's military capability intact makes no sense, and would effectively jettison America's long and successful deterrent strategy. What about Low-Yield Missile Warheads? What about deciding not to build a relatively low-yield nuclear warhead for the D-5 missiles to place on American submarines? The problem with this plan would be that without such a weapon, the United States and NATO would be stuck relying upon a low-yield nuclear weapon delivered by American aircraft. Any aircraft, however, would have to take into account Russia's air defenses: it would consequently take multiple hours to arrive at a conflict area. An aerial response, therefore, could be "too slow." An asset such as an American submarine-launched D-5 missile can get to a conflict zone more quickly and assuredly than an aircraft. Not to have such a credible low-yield warhead capability undermines America's ability to counter Russia's new nuclear doctrine that threatens to use to use low-yield nuclear weapons early in a crisis or a conflict. Given that, for example, Russian nuclear forces are in close proximity to a potential conflict area such as the Baltics, the United States needs to be able to counter-threaten possible Russian aggression there. As US sea-based missiles would be launched from great distances -- the US has no land-based missiles deployed at this time in that area -- striking back at those forces would have to be done quickly and assuredly. An American submarine-launched ballistic missile warhead, unlike an American tactical airplane, gives the United States exactly the capability required to match Russian low-yield nuclear threats. There is no reason whatever to discontinue implementing the traditional three-part nuclear deterrent posture (land, sea and air) endorsed not only by the 2018 nuclear posture review (NPR) but also by the past three nuclear posture reviews (1994, 2001 and 2010): a robust Triad of nuclear forces that keeps the land-based ICBMs, a built-in nuclear-readiness hedge against an uncertain future that requires a number of warheads that balance Russia's forces, and a forward-looking, realistic and tightly verifiable arms control framework, that would refuse destabilizing strategies such as de-alerting. The alternative proposals reviewed above are largely based on attractive bumper sticker-types of slogans. If they are adopted, two nuclear dangers in particular will be heightened. First, America's allies, no longer credibly protected by the US nuclear umbrella, may seek to build their own nuclear weapons to compensate for the omission. Second, in a crisis, America's adversaries might seek to disarm the US, or coerce it to stand down, especially as US nuclear forces would have been so diminished as to invite aggression, rather than deter it.